With engaging personal stories and dramatic before-and-after photography, filmmaker Rebecca Friedlander uncovers the true beauty of twelve women from various ethnicities and backgrounds, empowering us to shatter the lies of rejection, doubt, and low self-esteem. Utilizing compelling biblical truth and questions for personal reflection, Friedlander helps us identify our own personal battlegrounds, celebrate our uniqueness, and embrace God's definition of beautiful. With engaging personal stories and dramatic before-and-after photography, filmmaker Rebecca Friedlander uncovers the true beauty of 12 women from various ethnicities and backgrounds, empowering us to shatter the lies of rejection, doubt, and low self-esteem. Utilizing compelling biblical truth and questions for personal reflection, Friedlander helps us identify our own personal battlegrounds, celebrate our uniqueness, and embrace God's definition of beautiful. 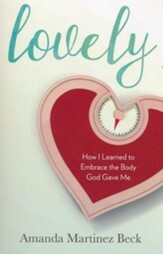 Anyone who loves a great makeover story or who wants to explore their unique identity will love this eye-opening book. Let's stop letting the world define beauty and start being a voice that tells the world what true beauty actually looks like. Rebecca Friedlander has been in full-time ministry for 17 years, ministering both locally and internationally using creative arts and music. As a worship leader, she has copyrighted more than 300 songs and released 13 CDs. As a film producer and award-winning photographer, her productions include Seeds TV, Girl Perfect, Pioneers, A Southeast Alaskan Odyssey, Spiritual Warfare 101, Celtic Pilgrimage, and Thin Places. Her newest production, Radical Makeovers, is a TV series about beauty, featuring makeovers and testimonies of 40 women around the world who have overcome image-related issues. The author of 8 books, Rebecca lives in San Diego, California. Visit rebeccafriedlander.com for more information. 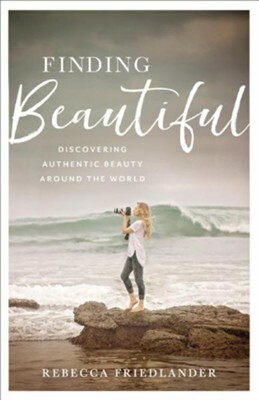 I'm the author/artist and I want to review Finding Beautiful: Discovering Authentic Beauty around the World.